What you will see missing from this blog post, is data and statistics because the biggest lesson I learned while working and living up in Sonipat and Panipat was that those figures tell ten percent of the narrative. To do productive, meaningful work we must continuously strive to find ways to honor people’s experiences and stories. My understanding of the lived experiences of girls and women in Sonipat and Panipat and the settlements that surround it would be dismal if all I did was sit and read reports about the area. My time out in the field was a stark reminder of how imperative participatory research and action is. If I had spent my whole internship reading government reports, I would tell you there is ample support and resources for women and girls living in these settlements. Through my time in Sonipat and Panipat, I observed many ways the state is failing girls and women by not providing appropriate support. The result of this failure is a loss of the full potential of these communities. If I had to decide on two words that described my experience and findings it would be disconnection and resiliency. I had the opportunity to interview government officials, police officers, medical professionals, and asha workers as well as girls and women living in the communities and their narratives didn’t align. The narratives don’t align because there is a disconnect to the communities due to the systems being overwhelmed, not because people are falsifying information. In an interview with a police officer, he told us that the police department strived for about five hundred citizens for every police officer but in Haryana, there is approximately 3000 citizens per police officer. In another interview, with a government official he told us he was responsible for 63 villages. With this amount of workload put on civil servants, you can see how people, particularly marginalized individuals like girls, women, youth, and folks living in poverty are falling through the cracks. 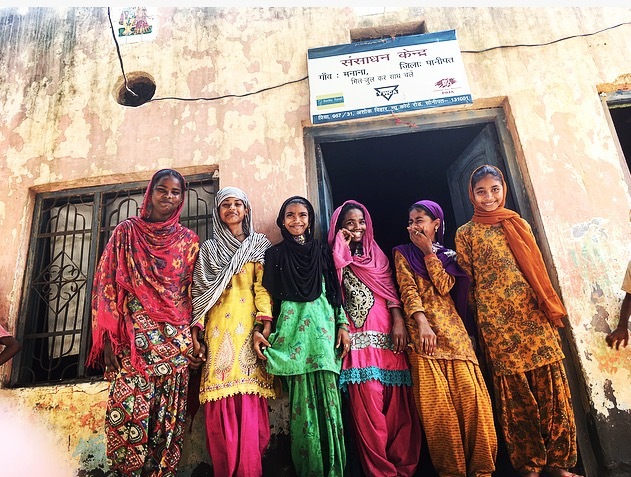 The narrative of what resources are available is also disconnected, when we spoke with young girls and women in the Lodha Basti community, a lot of them expressed that after primary school they dropped out of school because the secondary school was too far away. In contrast when we met with the Block Education Officer, he expressed a long list of resources available to communities and amongst that list was a free bike to all students that lived more than two kilometers away, but where were these bikes for the girls in Lodha Basti? A lot of the resources he listed was aimed at keeping the girl child in school, but in an interview with a principal at a girls secondary school in the Manana community, he expressed that only fifty percent of the girls make it to graduation. I question if the fifty percent of girls that didn’t graduate received the long list of resources “available”. We discussed aspects of safety for girls and women with most of the civil servants we met with, and they insisted that girls and women were safe in the community and in their villages. After spending a couple evenings up in the Manana village, just after the sun had set, I was invited for an evening walk with some other women and their children. There was about ten of us, and we went off on our journey, but our journey ended after about 100 metres. The view of the houses were still in sight, one of the woman told me “this is where we turn around because its unsafe past this point.” I understand safety is subjective but can anyone really say that women and girls are safe if they can’t go past a hundred metres of their homes. This brings me to my other theme that I observed while living and working in this area, due to the disconnection, many hardships are faced by women and girls, but through this I witnessed an incredible amount of resiliency. I watched girls waking up very early in the morning before their male counterparts to get all their chores done, so that there’s no qualms in their family about them continuing their education. I was amazed at one of the youth, who gave a tour of her village, to a large group of guests, showing them what participatory research looked like in action. I observed as my coworker participated in resistance of gender norms, as she explained how her daughter and sons chores have been divided equally to teach them that everyone in the family must work. 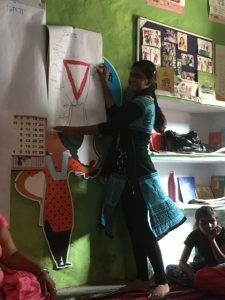 I listened to young girls as they taught their peers about body changes and menstruation. Even though I saw a lot of disconnection, I also had the privilege of witnessing resiliency, resistance, and change happening from within these communities and that was pretty powerful. Hello!! My name is Rachel Barr. I have a degree in Gender studies and Religious studies! I will be starting my Masters in Counselling in September. I feel very lucky to have been given the opportunity by CAPI and the Queen Elizabeth scholarship to be an intern with an Indian organization called PRIA. 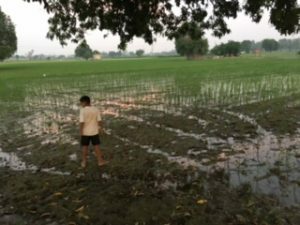 I am living in Delhi and doing field work in the Haryana region. I have been working with the gender team around sexual and reproductive rights and education. Hope you enjoy my blog and please let me know if you have any questions or comments, I would love to start a conversation! !